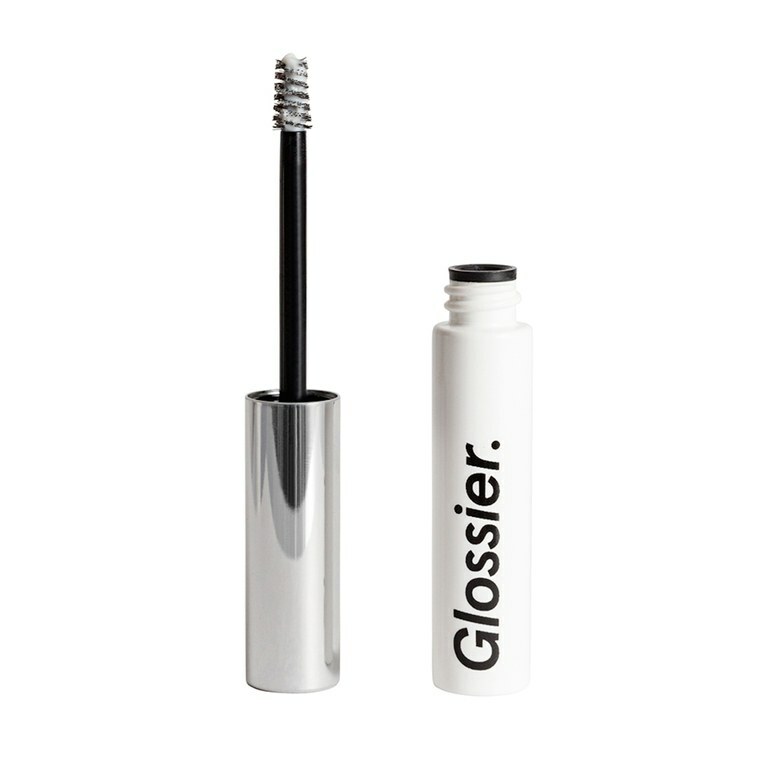 If there's one beauty brand universally loved by marketers and editors...it's Glossier. Founded in 2014 by Emily Weiss, the brand singlehandedly introduced a new era in the beauty industry. One in which minimalism and no-makeup-makeup is favored over chiseled cheekbones created by multiple celebrity created contouring palettes (and yes, I do own both of Chrissy Teigen X Becca palettes...what of it?!). What makes the company truly compelling isn't just the millennial-pink packaging (anyone can do that) or the celebrity fan base (significantly harder to land, but still manageable), or even the fact that it became a cult-favorite overnight. Some of the products are really, really good — like, buy them because they work good, not just "I saw five girls with messy bangs post this on their feeds so it must be great" good. I splurged on a plethora of Glossier products while visiting their super instagrammable pop-up in Los Angeles to figure out what the hype was all about for myself. I've rounded up the products that are actually incredibly impressive, have earned my loyalty and live up to every bit of the buzz. Arguably the product that put Emily Weiss' beauty brand on the map, Boy Brow is everything we want in an eyebrow product: Tinted, but not overly so; long-lasting (because having your brows melt off mid-day is not a good look); and super easy-to-use. The award winning-pomade comes in three natural-looking shades (plus a clear version that keeps hairs in place sans any tint), and brushes on easily for brows that look full and groomed, but not bushy. Yes, please. 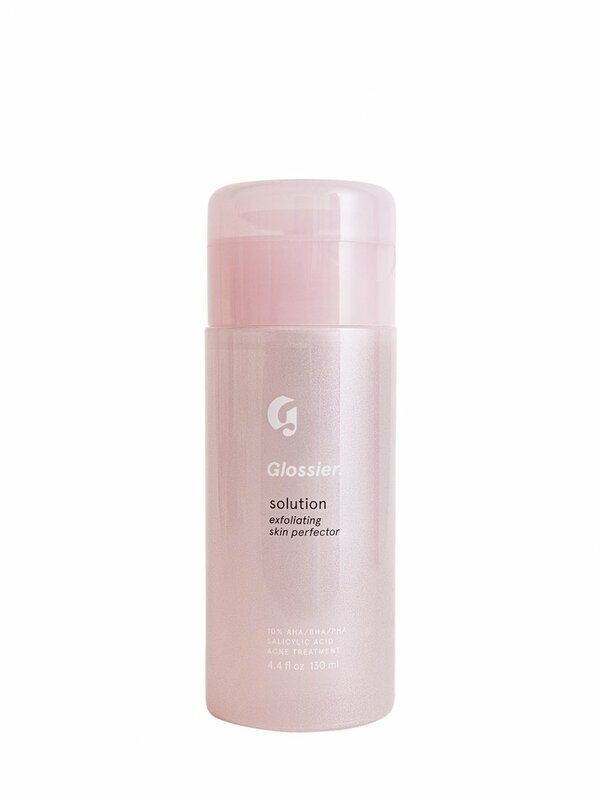 Nobody solves a problem like the Solution — provided, of course, that problem involves dullness, clogged pores, dark spots, or any combination thereof. This gentle exfoliating liquid is the brand's most ambitious skin-care formulation yet, a wonder product that promises brighter, smoother, more balanced skin with regular use. The combination of AHAs, BHAs, and PHAs, totaling a 10% concentration, isn't as potent as some other similar products on the market, which isn't necessarily a bad thing. In fact, it's perfect for sensitive skin, a pretty pink gateway drug into the world of acids. Y'all know I LOVE a good face mask. The first time I tried the Glossier's Mega Greens Galaxy Pack, I was coming off of a long weekend of celebrating my birthday, slathered the mint-colored white kaolin clay mask on my visage....and girl, all I hoped for was to look a tad bit more alive before my 8am meeting the next day. 20 minutes later (I was still alive), I was very delighted to see brighter, smoother, and rejuvenated skin. For those who prefer their highlighter to deliver a glow-y (rather than sparkly) finish, Glossier's beloved Haloscope highlighter can't be beat. The highlighting stick, infused with a core of solid, vitamin-rich oil, gives the skin a dewy, almost glossy highlight — with just a hint of shimmer (thanks to glimmering particles from actual crystals). It's super easy to apply and blend, and the three luminous shades (sun-kissed Topaz; pearlescent Rose Quartz; and iridescent Moonstone) are versatile enough to be used on all skin tones. This soft, creamy concealer is medium coverage at best, but even so, something about the wax in its formula makes it highly adept at enhancing and brightening skin without looking caked-on or emphasizing pores. It leaves skin feeling hydrated and looking a hell of a lot fresher, and though the shade range leaves something to be desired, we've seen the five choices work for a surprisingly wide variety of complexions. Unless you're down with some shine, you'll want to set this one with powder — it has a dewy finish, which isn't for everyone. This liquid eyeshadow piqued public interest after debuting on the Oscars red carpet back in March, because if it's good enough for Salma Hayek and Tiffany Haddish, it's good enough for us, right? If you're looking for serious pigment, you won't find it here; rather, it's an "enhancer" of sorts that makes eyes look subtly prettier and more alive. That said, all of the shades are soft, sheer, and flattering, and the silky formula really stays put, so it's a nice way to add a little bit of something without it being too much of a look. If your skin is less than perfect as it is, you'll most likely want to eschew the Skin Perfecting Tint in favor of something that, you know, actually covers up whatever it is you're trying to hide. But if you already have genetically lovely skin that you're just looking to enhance, this sheer, satiny tint seems like just the thing to smooth and even out an already borderline-flawless complexion.